Since the 1960s, oral contraceptives have been available to women through a prescription. More commonly known as the birth control pill, or the Pill, it is an extremely popular choice of contraceptive because it is easy to use and efficient. There are two types of birth control pills: the combination pill and progestin-only pill. The combination birth control pill is a tiny pill that is taken daily and is made up of synthetic estrogen and progesterone. Since your menstrual cycle and ovulation is regulated by estrogen and progesterone, the artificial hormones work to mimic the hormones your body naturally produces. This causes a variety of changes in your reproductive system to occur, thereby preventing pregnancy. The main function of this type of oral contraceptive is to suppress ovulation, or the release of an egg from your ovaries. 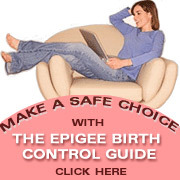 This is done through the increased levels of estrogen your body receives from the Pill. However, today's birth control pills contain far lesser amounts of estrogen than their predecessors. As a result, ovulation may still occur anywhere from 2 to 10% of the time. Although preventing ovulation is the primary method though which the Pill attempts to prevent pregnancy, the extra estrogen and progesterone in your system also work to thicken your cervical mucus. This makes it more difficult for sperm to reach an egg. The Pill also causes the lining of the uterus to thin, possibly preventing the implantation of a fertilized egg. Because it is not known how often the pill works in this manner, if at all, most health centers will not cite the thinning of the endometrial lining as a function of the pill. This type of contraceptive pill contains only progestin and therefore has been dubbed "the mini-pill". While this pill may prevent ovulation, more often than not ovulation still occurs in women on the progestin-only pill. If the mini-pill does prevent ovulation, a woman is likely to stop having her period altogether. Instead, this method of contraception works by thickening the cervical mucus in order to stop sperm from meeting an egg. However, if the pill is not taken at the same time everyday, the effect on cervical mucus will decrease. Moreover, it is thought that the mini-pill may also work by thinning the lining of the uterus and preventinig implantation from occurring. Additionally, combination birth control pill side effects include depression, decrease in libido and weight gain. It is also important to note that the birth control pill does not offer any protection against sexually transmitted diseases. Combination pill users as well as smokers, women with disorders that put them at increased risk for heart attack and women who are over the age of 35 have an increased risk of these complications. There is also some disagreement as to whether or not using the birth control pill increases your risk of cervical cancer. Some experts believe it does while others do not. However, it does appear that Pill can increase your risk of breast cancer or accelerate the growth of pre-existing tumors. Women who currently have or who have had kidney, liver or adrenal gland disease should avoid using Yasmin birth control pills. This birth control pills brand contains a particular type of synthetic progestin that has been shown to raise a person's potassium levels, which could potentially cause severe heart problems among other things. With perfect use, the birth control pill can be as much as 99% effective. However, perfect use means remembering to take the Pill everyday at the same time and to be in good health, under the age of 35 and a nonsmoker. With typical use, the average failure rate is between 3 and 13% per year, depending on the type of pill you are taking. The birth control pill is not recommended for women who smoke, have certain health conditions or are over the age of 35. Both the combination pill and mini-pill can be started immediately after an abortion. If you have just given birth, you will need to wait at least two weeks after birth and at least six-weeks if you are breastfeeding to start the combination pill. However, the combination pill has been shown to lower a woman's milk production as well as affect the quality of the milk. Additionally, traces of the hormones contained in the pill will be present in breast milk. The mini-pill can be started immediately after childbirth, regardless of whether or not you are breastfeeding. It has not been found to affect the amount or quality of breast milk produced, although it does appear in the breast milk. While the hormones have not been proven to have any ill effects on the child, some women may still be concerned about exposing her child to the Pill's hormones. There are many different, non-hormonal birth control options that you can choose if you are breastfeeding. For more information about choosing birth control, like the pill, check out our birth control forum. To find out which birth control pill is best for you, visit our Oral Contraceptives page. i use to take the yasmin pill before i had a baby and it worked fine. i know there are complaints about that pill but i had no problems. no weight gain, no hormone problems. but after my pregnancy my doctor put me on yasmin's sister pill, yaz. i hated it. it went off it after 3 months. i made me tired all the time, i had muscle cramps, it didn't help with my acne at all, my periods were heavy. it was the worst pill i ever took. hated it!